On this site, we’ve featured several ceramic heaters from Lasko. Examples include the Lasko 5409 and the Lasko 755320. Let’s add the Lasko CD09250 here. Advertised as a tabletop (or an under-desk) small heater, the Lasko CD09250 weighs 3.7 lbs, which should be light enough for transport but heavy enough to sit comfortably on your table. It’s not the sleekest on the market, but its two-knob control makes it simple and straightforward to use. It it any good? 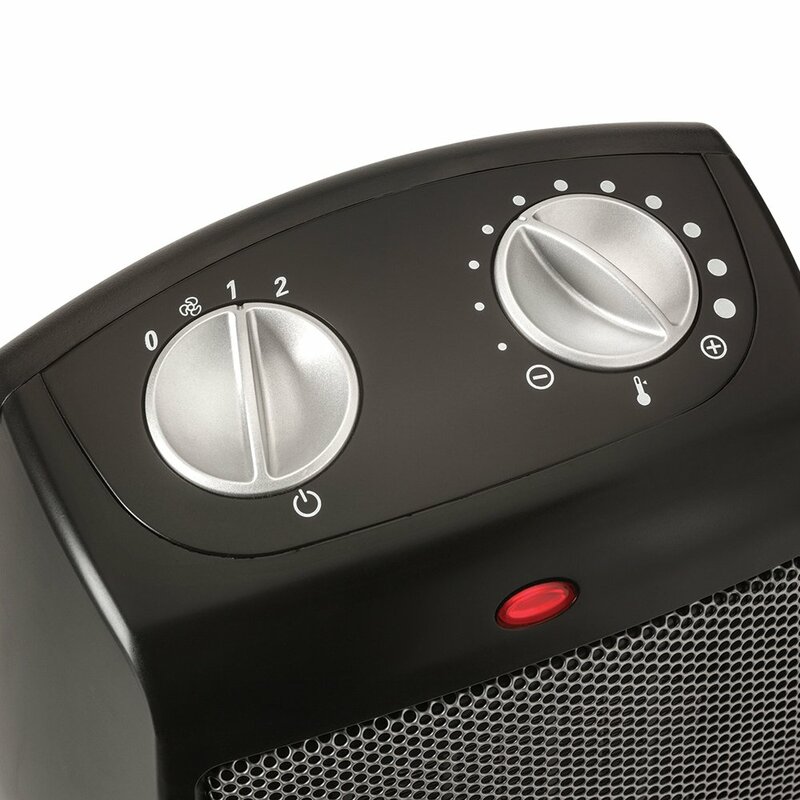 Let’s hear what previous buyers have to say in this Lasko CD09250 ceramic heater review. NOTE: The Lasko CD09250 is the black version of this unit, and the Lasko 754200 is the silver model. 1 First, Can We Give You a List of Its Key Features? First, Can We Give You a List of Its Key Features? – No Oscillation. 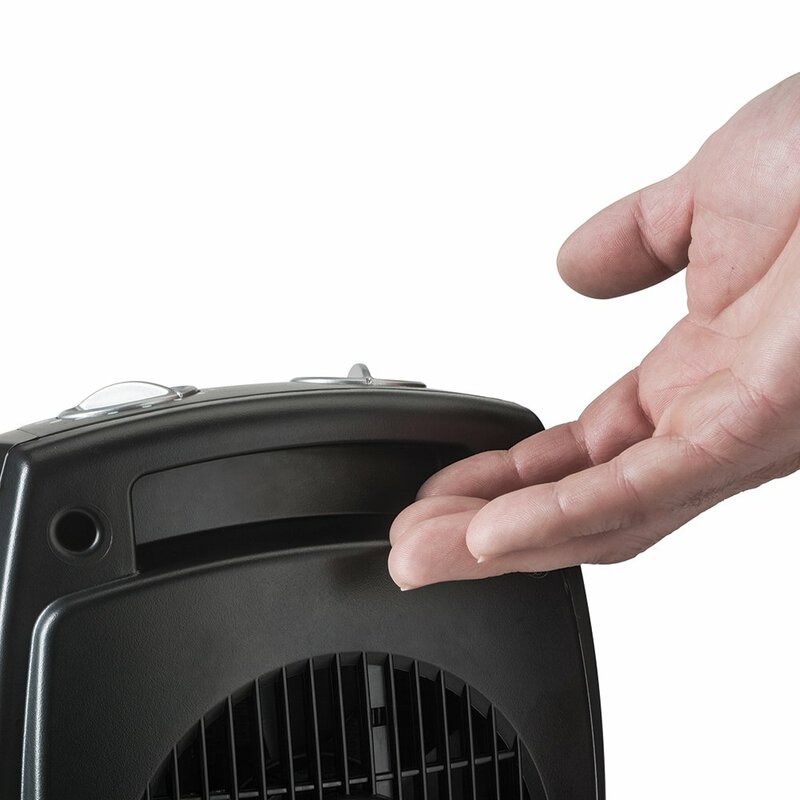 We hate to burst your bubble this early, but this Lasko heater lacks an oscillation feature. – Knobs. As previously mentioned, the Lasko CD09250 comes with an uncomplicated control panel. There’s no LED display, but its two-knob panel allows you to control the heat output and to choose from three settings – high, low, and fan only. – Thermal Overload Protector. This is one of the built-in safety features of this ceramic heater. It prevents the unit from overheating. – Weight. It weighs 3.7 lbs. – Built-in Carry Handle. The handle is located at the back of the unit. See image above. Also Read: Lasko 5409 vs Lasko 754200, Which Heater Is Better? Watch this video to know more about the features of the Lasko CD09250. In this part of our Lasko CD09250 ceramic heater review, we give you a summary of what previous buyers say about their unit. – Heat Output. Overall, the Lasko CD09250 is a reliable heater for its size. It’s “basic,” but it packs a punch and warms up a room fast, taking only 5 minutes based on some people’s feedback. It’s ideal for small rooms, but some people say its heat output is also enough for larger spaces. – Size. You don’t have to worry about where to put this little appliance. It’s compact and small, so you can place it practically anywhere. – Noise. This heater is quiet. – Usage and Operation. One of the best things about the Lasko CD09250 is that it doesn’t overheat. When it reaches the temperature you set using the thermostat knob, it automatically shuts off. It also automatically turns on when the temperature drops. This is an on-and-off process that you should expect. – Limitation. As mentioned, this ceramic heater does not have an oscillation feature. Also Read: Lasko 5409 Reviews, Should You Get One? The Lasko CD09250 has been described as a “powerful little” heater. It’s ideal for use in bathrooms and small bedrooms, but it can also generate enough heat to warm up larger living spaces. That said, we highly recommend this product.